Eric Byler spoke to property holders in Iowa whose land is being seized from them for the construction of the Dakota Access Pipeline. 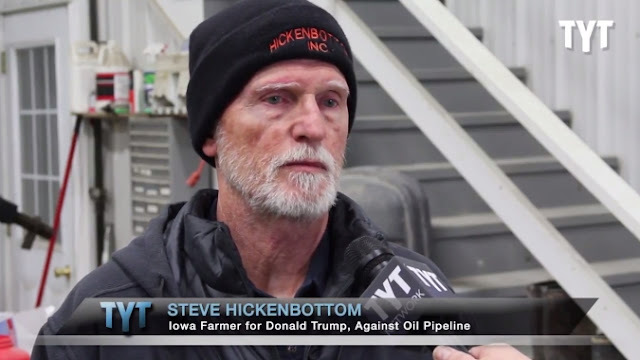 The coalition of farmers and environmentalists that is taking legal action to prevent the pipeline from going into service includes many Donald Trump supporters and voters, even though the Trump administration lists the fast track approval of the pipeline as an accomplishment that will lead to "job creation." In its application to the IUB, Dakota Access promised to parallel roads and existing right-of-ways when possible, and the company also estimated it would pay landowners up to $189 million for easements across private property. IUB began holding informational meetings in December 2014, which is when property owner Shirley Gerjets of Calhoun County first heard of the project. “It started out wrong in the first place,” she says, as citizens weren’t allowed to ask questions and the group was told that surveyors would be coming to individual properties without any recourse to stop them. In the end, Gerjets says the company offered her $64,000 to run the pipeline through her 65 acres, an offer she refused. “The farm is not going to be the same for a long long time,” Coppola says. She’s worried about compacted soil, damaged topsoil, turned up rocks, metal and other debris left behind by the pipeline. 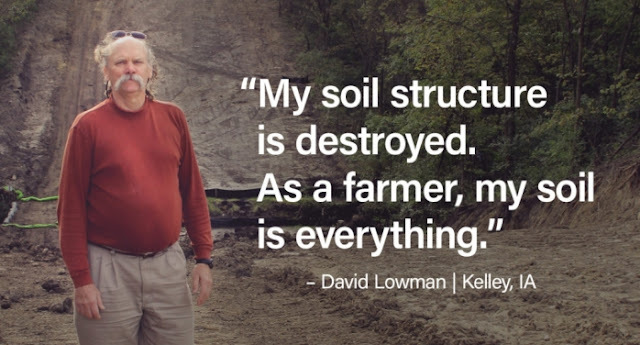 And most importantly, she’s worried about potential oil leaks in her soil. 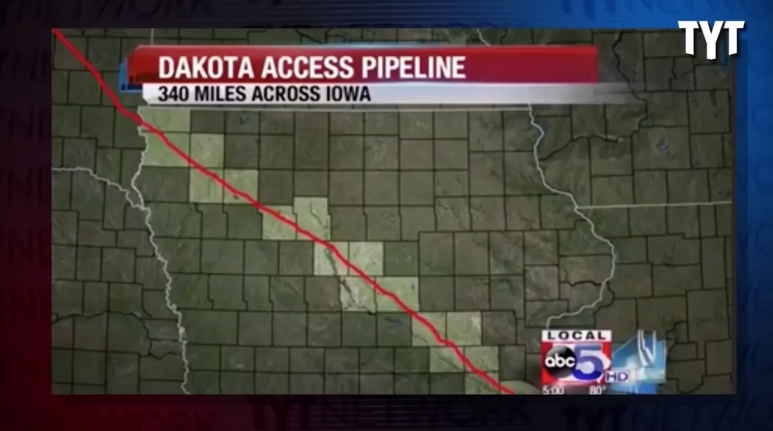 When it comes to the Dakota Access Pipeline, much remains unclear. But one thing is certain — both the Standing Rock Sioux and the landowners in Iowa aren’t backing down. Responses to "Donald Trump Supporters Are Opposing Dakota Access Pipeline In Iowa "